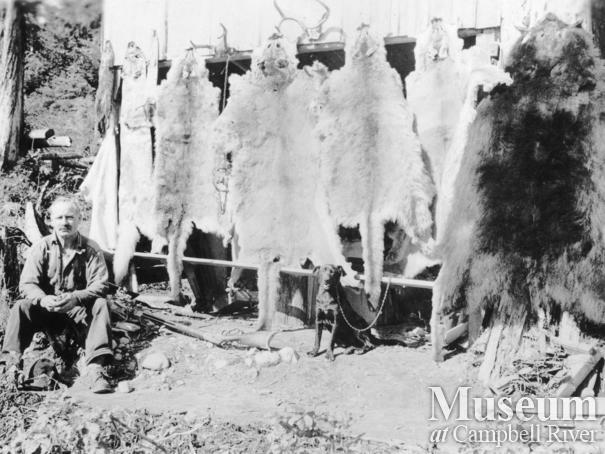 Mr. Chapman shown beside skins drying in front of his home at Stuart Island. 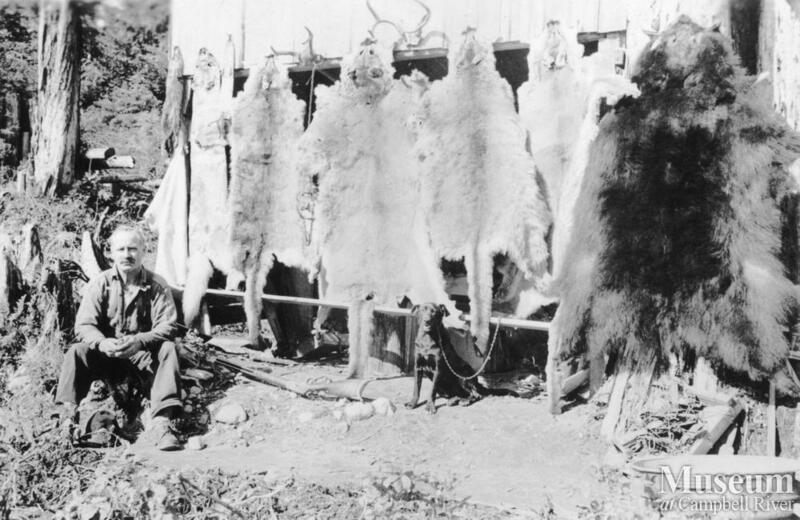 Skins include cougars, wolves, mink, martin, and bear skins. One cougar was shot six feet from his house.